This elegant and modern wedding invite is the perfect way to impress your guests. The artwork is printed onto a clear sheet of acetate creating a nice contrast between the glossy sheet underneeth and the white matte print. 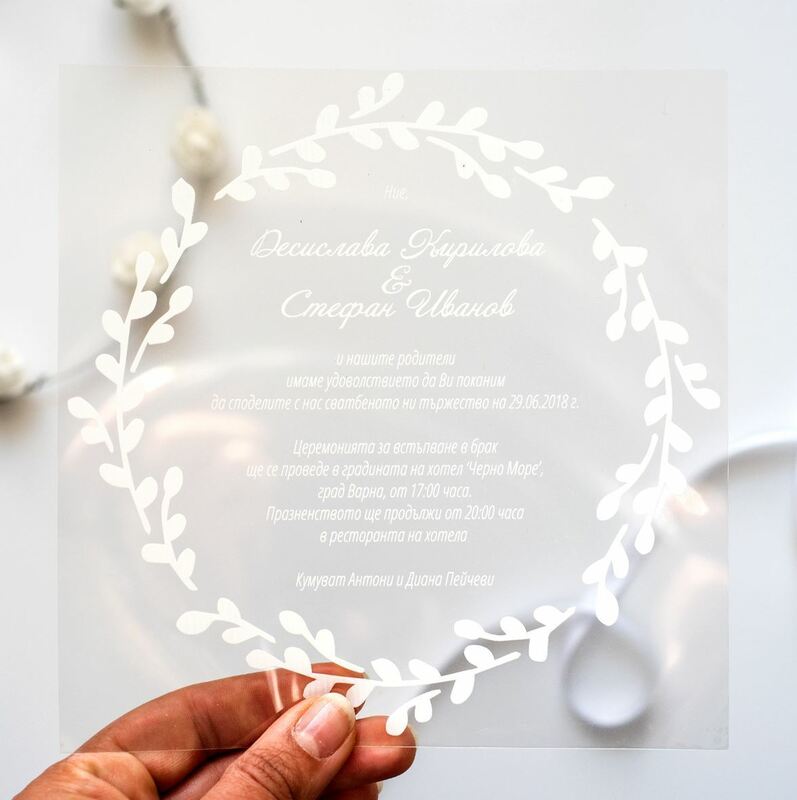 The Transparent Clear sheet is 0.24mm /240 microns thick. The print is only on the front and it has matte finish. It comes together with a white envelope.